NT Vinyl Windows	Energy Master | Presidential | Executive	Their proud "Dealer of the Year Four out of Five Years"	Learn More! 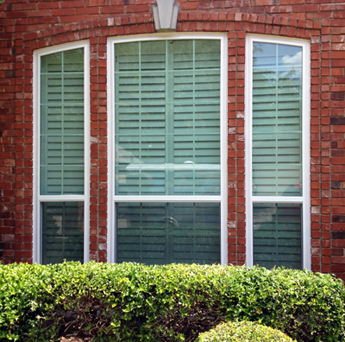 Executive Vinyl Windows	Cost Effective	Performance! Find out More! Presidential Vinyl Windows	More Colors! White, Beige and Standstone or Adobe Standard Colors	Contact Us Today! Energy Master	Dealer of the Year 2013-2015	Amazing Performance - Great Value	Contact us today! NT Windows - Energy Master, Presidential, Executive and Traditions. The Energy Master is also branded as the Executive. Here's some interesting industry insight. 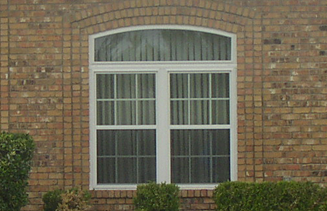 Many window manufacturers sell a given window under several different names. The Energy Master and the Traditions are the same but sold in different circles. Much like the Alside product is the same as the Revere Window, so also is the Executive and the Presidential. Interestingly I think this is also called the Preservation from some vendors. 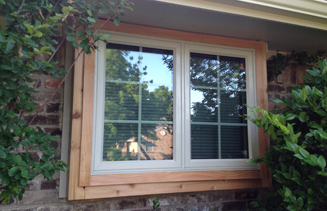 Locally made here in Mansfield Texas, it is a Window Connection favorite for a great value and good bang for the buck. Available as a single hung or a double hung. 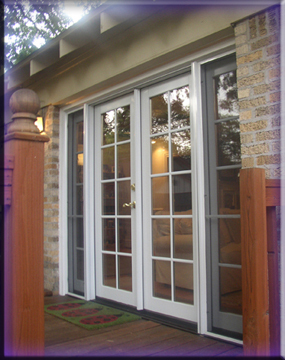 Vinyl Windows, NT Window, NT Windows, Executive, Energy Master, Presidential, Royal, Casements, Traditions Learn More! 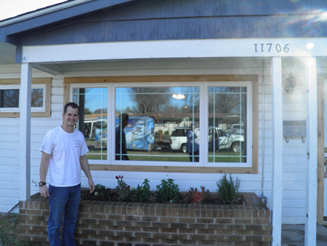 The Double Hung Vinyl Replacement Windows and the big discussion about Single Hung vs. Double Hung. Single Hungs have more glass and somewhat better performance (.01 lower U value). It leaks a little less because the top sash is stationary as opposed to a double hung which has operating and tilting top and bottom sashes. The real drawback to the double hung is also that it has a frame thickness at 3 3/4" as opposed to the 2 5/8" we see in the single hung. Executive, Energy Master, Presidential. 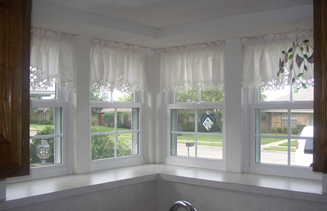 Double Hung, tilting sashes, single hungLearn More! This is one of my favorite things to do where possible. While it is a little more costly, you can't deny it's a great look. This one has prarie lite grids but you can get it with no grids as well. The end panels swing open like outswinging doors and the center panel is fixed. The screen mounts on the inside. This is a great way to put a smile on a happy homeowner. The frame is 2 5/8" from glass to edge of window. It is the smallest frame in the industry for a full framed vinyl replacement window, It is very desireable in narrow windows or in cases where we really can't afford to loose light. The meeting rails are steel reinforced to prevent sagging, it's locally made and it has a lifetime warranty.Our shipping costs are minimal and it's among the very best values I can find here in Dallas and Fort Worth. 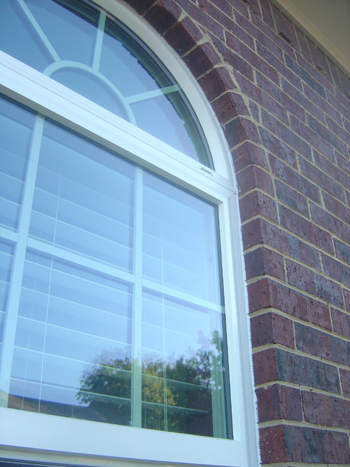 single hung, vinyl replacement windows, Energy Master, Single HungLearn More! This is a great choice for so many reasons. It says cottage style and is warm and friendly. Both sides swing open to the outside and the inside screen is easily removed. 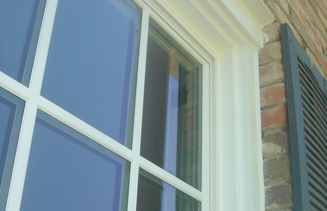 The new wood trim is standard in a Window Connection replacement window installation in siding or sections of a home that stick out and have potential rotting or sagging issues. Whatever the window problem, we are the window solution! twin windows, twin casement window, NT Window, colonial lite grids, cedar sidingLearn More! arched, arch, architechtural, windows, mulls, mullions, continuous arch, arched transomeLearn More! Sometimes people ask for wood windows and upon some inquiry we find out it's really about the grids on the window more than the window itself. Usually we see grids between the glass, in this case we have grids that stick out from the surface of the glass on the inside as well as the outside. This is a great look but is somewhat costly. Grids between the glass are very affordable. All windows can be manufactured either way. The differences in the Energy Master, Traditions, Presidential and the Executive. First it's important to understand that there are really only two main frames involved here. At The Window Connection we sell the Energy Master and the Presidential. Energy Master has a bevelled exterior profile while the Presidential has a cove moulding exterior profile. The Executive is an Energy Master with no night latches on the inside. These are designed to prevent the window from going up more than about 4 inches when engaged. This is the primary difference in those two. The Traditions is a Presidential main frame with a slightly different sash member and different locks. The Traditions also comes with a foam filled frame as a standard feature instead of as an upgrade. Foam filling is available on all of the NT Window products. It will lower the U value from a .29 to a .27. 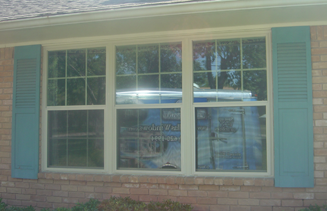 NT Window, Windows, Energy Master, Traditions, Presidential, Executive, vinyl, replacement, Dallas, TexasLearn More! Our very cool blog about window stuff and a little about us. Before and After Pictures that will truly astound you. One of the best parts of what we do. Window Connection is now a multiple time winner of the NT Window Dealer of the Year Award. 2011, 2013, 2014, 2015 and 2016. Please don't ask about 2012.